Kindness is the universal language that is understood beyond boundaries. Each and every individual understands and speaks this language. The dictionary defines kindness as “The virtue of showing love” and qualities of having a sympathetic, affectionate, warm hearted, and a considerate nature. It can be defined as the righteous and caring attitude towards others. But the definition of kindness does not limit to these words only. It is a complex term to comprehend yet simplest to realize. Kindness is the simple basic driving force of nature. Kindness means we recognize others are fragile, and that we have the power to hurt or heal them. As quoted by His Holiness, theDalai Lama, “My religion is very simple, my religion is kindness”. Kindness is taught by every religion, be it Christianity, Hinduism, Sikhism or Islam. All the religions teach to express kindness towards others. Kindness is certainly a part of God’s aura. The biblical Book of Psalms refers to God’s kindness more than 80 times. Kindness is not only a religious virtue. Kindness softens hearts, lifts spirits, and moulds relationships. Being kind to your siblings helps to build a strong family foundation. Showing kindness to neighbors and colleagues helps in developing a positive environment. Even the smallest considerations and selfless acts of kindness may help in growing business in leaps and bounds. 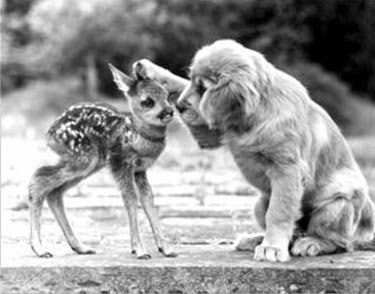 As said earlier, the language of kindness is comprehended by each and every being. Kindness is not a duty or an ethic either, kindness begins in the heart. It is really more than being nice, polite, or agreeable. It has more to do with our being than our behaviour. The term is not only restricted to human implementation. Even the mute animals wave their tails as a response to gestures of kindness shown to them. In the same way, plantsgrow large and bear fruits as a response to the kindness of their care taker. Nature has its own way of expressing kindness. When you put some kindness in to the world, you’ll be surprised to see what the world gives back. Small acts of kindness have created ripples and have probably done more good for the world than all the religious zeal, eloquent words, or education of the masses combined. The value and worth of our lives is best measured not by the material possession we have acquired, but by the hearts we have touched. Who we are is far more important than what we have. Everything we do affects not only our own life but also the lives of those around us. Even the best intentions fail if we rely on our own strength. The Bible calls kindness a fruit of spirit, because it cannot be grown effectively without the Spirit continuing work of love in our lives. It is a scientific fact that it takes more muscles to frown than to smile. Kindness matters in the world. Most of the times, selfless deeds result in the most favourable and flourishing deals of life. What goes around comes around. So just be kind and the same will come back to you. Being kind to others is equally important as being kind to one self. To err is human. We make mistakes eventually and so we must learn from that experience and move ahead in life. I believe in random act of kindness. The smallest things in life make a big difference. This belief is not based on one significant personal experience, but some of the few experiences throughout my life. One can never be out of ideas for being kind. Go ahead! Be a little kinder than you were yesterday. Share your umbrella with a complete stranger on a rainy day; give a sincere compliment; make them feel welcomed; pick up litter as you walk; let someone have your parking lot; offer your change to someone struggling to find the right amount; treat a loved one to breakfast in bed; lend your listening ears; say sorry (you know who to); buy an unexpected gift for someone; do a chore that you don’t normally do; get back in contact you’ve lost touch with; ask yourself, since I am here now what kindness can I do? ; do kindness act without letting anyone know about it. Kindness can fix any problem one might have. Your success depends on how generous and helpful you are to others. If you are kind enough to help others in need; you will have someone to help you when you are in need too. Have you ever done something good for someone without any reason? Has anyone ever done the same for you? Every single person in the world has the ability to choose how they treat others. Many choose to be kind whereas, many allow greediness and self-centeredness to take over their virtue of kindness. Kindness is the smallest thing that makes the biggest impacts in people’s live. So, here is my challenge to you. Today, before you go to bed, do a random act of kindness. It can be to someone you know or a complete stranger and eventually, you will receive a random act of kindness in return.